Mission Aviation Fellowship (MAF) pilot and programme manager in eastern DRC, Jon Cadd, gives his reflections on a life-saving medical evacuation of a Northern Irish missionary from her remote village in the Congo. WEC missionary nurse and Bible teacher Maud Kells from Cookstown in Belfast was shot in a night-time attack by raiders in the rainforest village of Mulita and was struck in the ribs by a bullet. 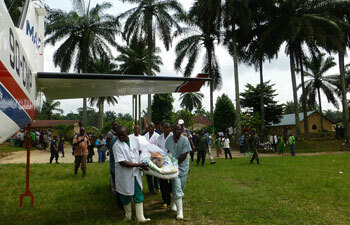 She is recovering in hospital and reports are she is determined to continue her work in DRC. “Maud is a wonderful, caring woman who has given her entire adult life to the people here in eastern DRC," explains Jon. "She lives way out in the far reaches of the forest with very little supporting connection to the outside. Congo is a harsh place and she has given over 40 years of sacrificial living for the sake of its people. "She was even awarded the Order of the British Empire this year. Which makes her ‘Dame Maud’. "Although 75 years old, she has more energy than 95% of the young people half her age. Maud is amazing and is a favourite with our MAF team here in eastern DRC so when we got the news that she had been shot and needed a rescue flight, everyone jumped in to make this happen quickly. 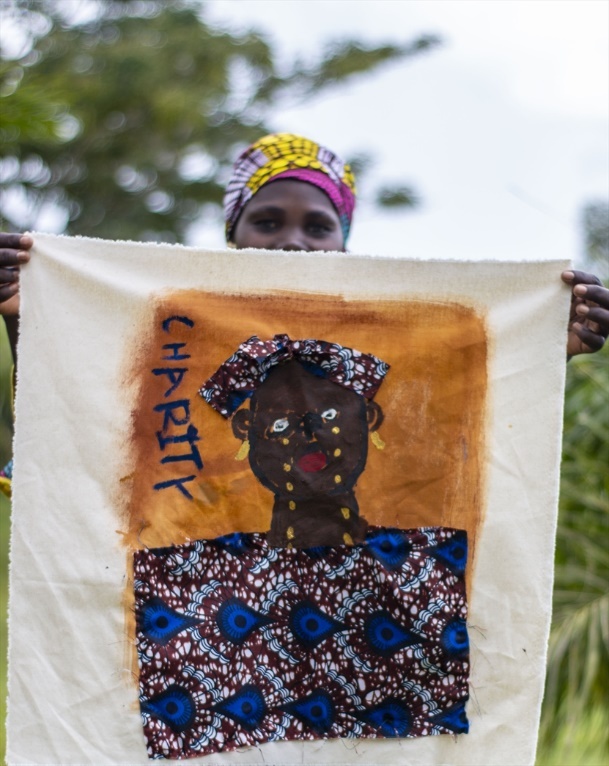 "When we arrived at Mulita, Maud’s home, there were hundreds of people around. There were high ranking police and church workers, and army personnel had secured a perimeter around the area and were standing guard with AKs and RPGs. They were all taking this very seriously and doing what they could to show that they cared for Maud. We were shown into the house where we found about 40 people in the living room and 10 people in the bedroom with her. "Doctor Mike cleared out about half of the people, but it was still stiflingly hot. The doctors had brought a portable ultrasound unit and set it up in order to see what the extent of her injuries was. Maud was given blood to replace what she had lost, as well as intravenous fluids and pain medication. "After about an hour of working in the muggy heat, Maud was ready to be loaded onto the MAF plane and with much ceremony she was carried out. We tied the stretcher down, the church leaders prayed for Maud’s swift recovery and for safety as we flew and we were finally off. Since treatment last week, Maud continues to recover. You can tweet your support to her using the hashtag #GetWellMaud.